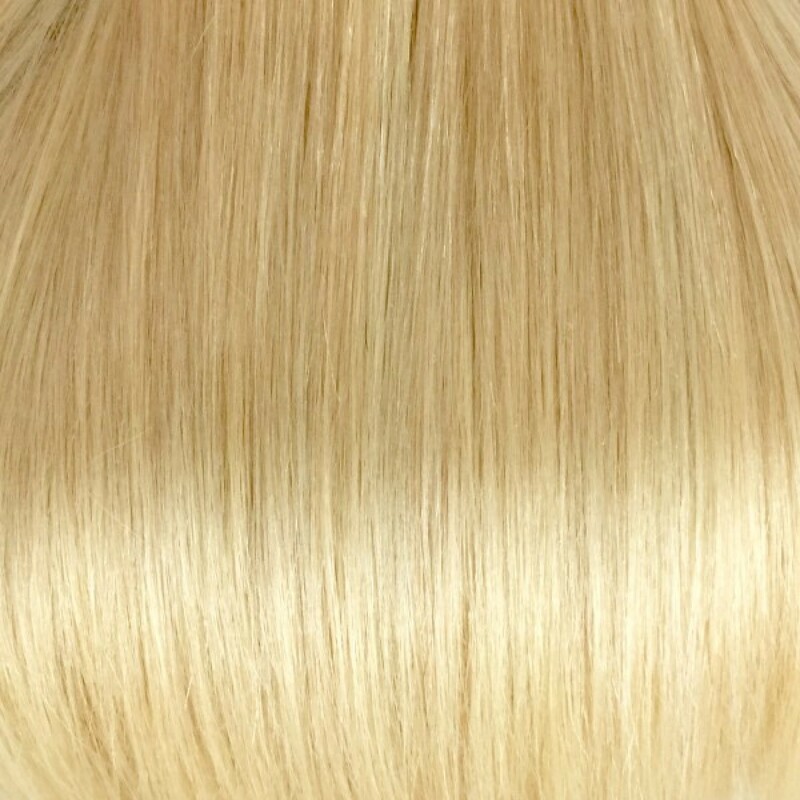 This full head set of Platinum Blonde hair extensions is made from 100% Remy Human Hair. Add 24 inches of length to your natural hair with our 230gram double drawn, and double wefted human clip in extensions. 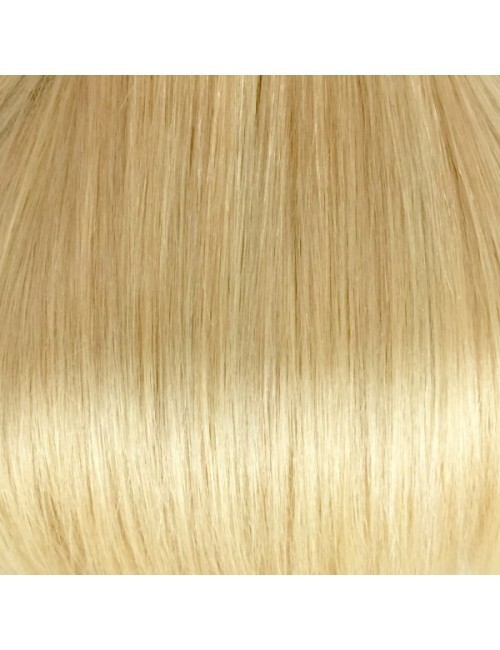 Platinum Blonde is the lightest colour in our range. It is a pale blonde colour, but not white (there is still a yellow tone). If you have very light hair you can use toners on this colour to get it to your perfect shade.